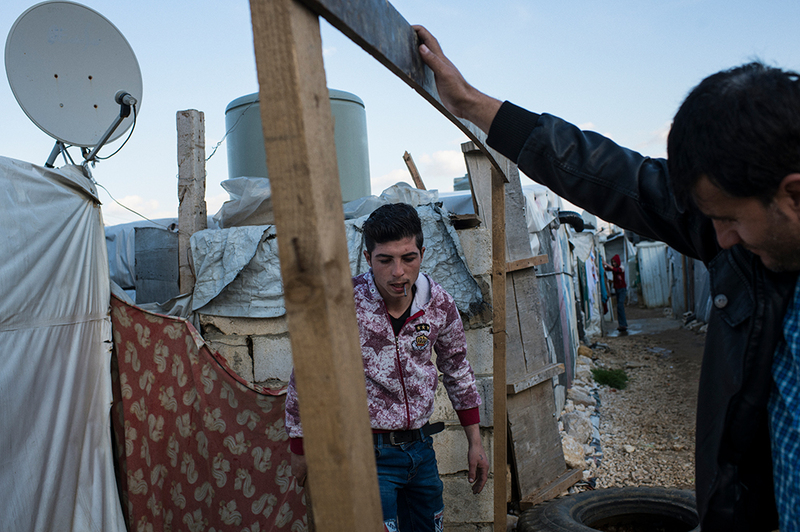 Ibrahim is one of more than a million Syrians holed up in Lebanon’s Beqaa Valley. He is a refugee from a war that has engulfed his homeland since he was 13 years old. Like so many Syrians, he’s enduring a life in limbo, consigned to a tent settlement about 30 minutes from the Syrian border. But home might as well be a world away. As the Syrian war enters its eighth year, Ibrahim is at his workplace, a building site next to the camp where he lives. It’s a ribcage of what will become a modern apartment building rising from the ground. He’s painting the ground level a mustard yellow. Over 5 million people have been forced to flee the country. Half of them children. Ibrahim is just one of them in a war so long he has grown up in refugee camps. With so much distress and disruption at home, UNICEF estimates there are 8.4 million Syrian children in need of humanitarian aid – across the country and in places like this. According to Ibrahim, most Syrians in Lebanon would like to move to Europe but the cost of getting there is huge. And then there is a risk of drowning and death. A few days earlier, a security briefing takes place in a small basement room of the World Vision office on the outskirts of Beirut. With me are Afghanistan-based photographer Andrew Quilty, a Lebanese filmmaker, and a VICE Australia journalist. A map of Lebanon is tacked to the wall. The security officer is using the aerial on his two-way radio as a pointer, jabbing it at the map to indicate places where we can and can’t go. A mosaic of risk, unrest and tension. Lebanon is bordered by the Mediterranean to the west and Israel to the south. To the north and east is Syria. We are heading to the Beqaa Valley, which runs the length of the eastern border, and which over one million Syrian refugees now call home. On the drive to Beqaa, tourist signs for vineyards — and even a chateau — mingle with road signs for Syria and military checkpoints. The region once known for its tourism is now a synonym for war. The first refugee camp we visit is in the Beqaa Valley, and from the moment we arrive at the camp I gain a mate. His name is Khaled, a 15-year-old Syrian from Daraa. A refugee from the town where the war began. In March 2011, as the ‘Arab Spring’ toppled leaders in Tunisia, Egypt, Libya and Yemen, 15 youths from Khaled’s home town were arrested for allegedly spraying graffiti critical of the Assad government on a high school wall. When the arrests sparked demonstrations, Government troops shot dead three of the protestors; a fracas now considered the point at which the civil war erupted in Syria. At the camp, Quilty is taking photos of teenage refugees outside their tents, focusing on children who have turned 18 in the refugee camp. 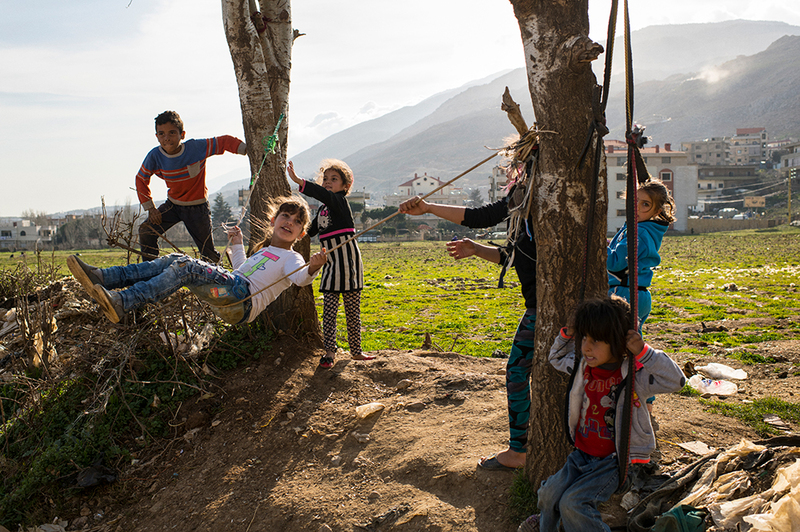 Many of them have spent their entire childhood in the Beqaa Valley. There is a faint buzzing in the sky, and a white glint of sunlight from a drone high above. The drone, the size of a small plane, circles before steering east down the Syrian border; war follows refugees wherever they go. On our second day in Beqaa we return to the camp. We’ve lost our translator to illness; my Arabic is worse than Khaled’s English and we have exhausted our few words of mutual French. So, soccer it is, and after one kick we’re joined by a throng of eager children. After the game, Khaled re-adjusts a Band-Aid on his foot. It’s covering a nasty cut which on closer inspection is deep, swollen, and badly infected. I fish out a basic first aid kit from my bag and clean and dress the wound. He clearly needs stitches. Only later do I learn that a glass plate had fallen on his foot. I hand Khaled the kit and urge him to clean the wound each day. He’s just one in a camp of hundreds of people, amongst thousands of camps. In April, living rooms around the world were again flooded with images of children and adults gasping for breath after being exposed to deadly nerve agents. The total number of gas attacks in Syria is unclear – the Independent International Commission of Inquiry on the Syrian Arab Republic puts the number at 34, while the American ambassador to the U.N. accused the Syrian government of “at least 50” attacks. Human Rights Watch has reported 85. Only weeks after the latest gas attack, the Syrian government introduced Law Number 10, a property law which requires citizens to prove ownership of their homes in person in a matter of weeks – else their homes and land will be sold off to property developers at auction. 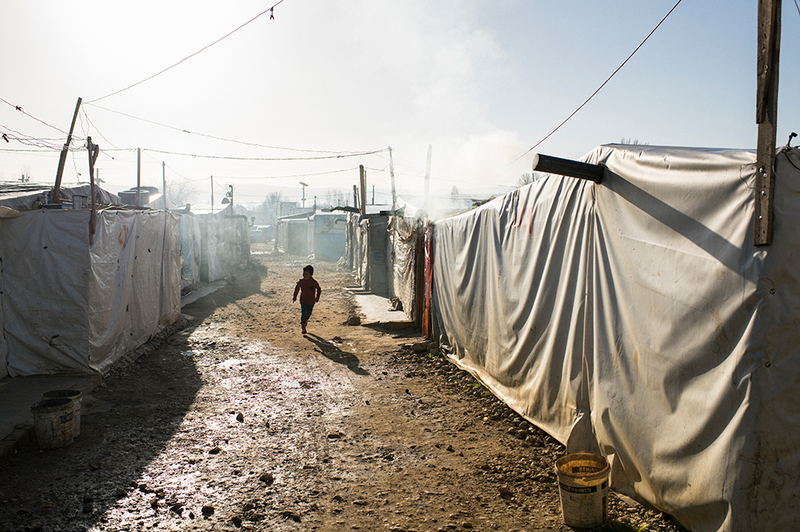 Under this new law the displacement of millions of Syrians could become permanent. Yet amidst this crisis, developed countries like Australia continue to reduce aid budgets: $11 billion has been cut from the aid budget in the last five years. The unpredictability of funding throws up challenges for the humanitarian workers and the refugees escaping the conflict. Declining aid budgets put more pressure on bordering ‘host’ countries which can then act as a push factor for refugees to travel further afield, further compounding the tragedy of displacement. There’s no way to know when or if the social fabric of Syria will be rewoven. Wynn Flaten, Director of World Vision’s Global Syrian Crisis Response, says the devastation of Syria’s displacement will be generational. Evana is Khaled’s mum. Back in Syria Evana was a farmworker, the family’s breadwinner. Her brother, Khaled’s uncle, was slaughtered in the war. The family had to flee their farm on the outskirts of Daraa in fear that they would be next. 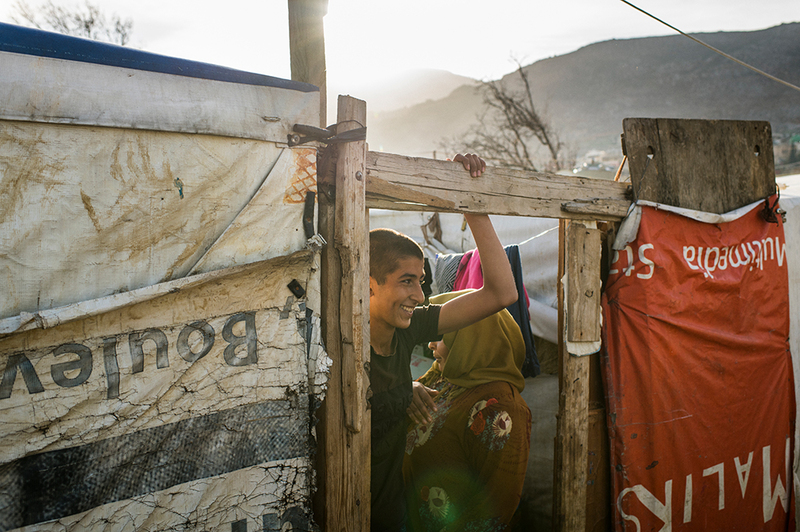 Since then, their home in the Beqaa Valley has been a tent made of canvas and an old billboard held up by a frame of recycled wood; their hallway floor black plastic, muddy with footprints. “If we go back to Syria my son will have to join the army. People are being forced into the army. It scares me,” Evana says. The tent has two rooms — the main room at the front and a smaller one out the back. A woven rug and pillows fill the larger room. It’s both lounge room and sleeping quarters. 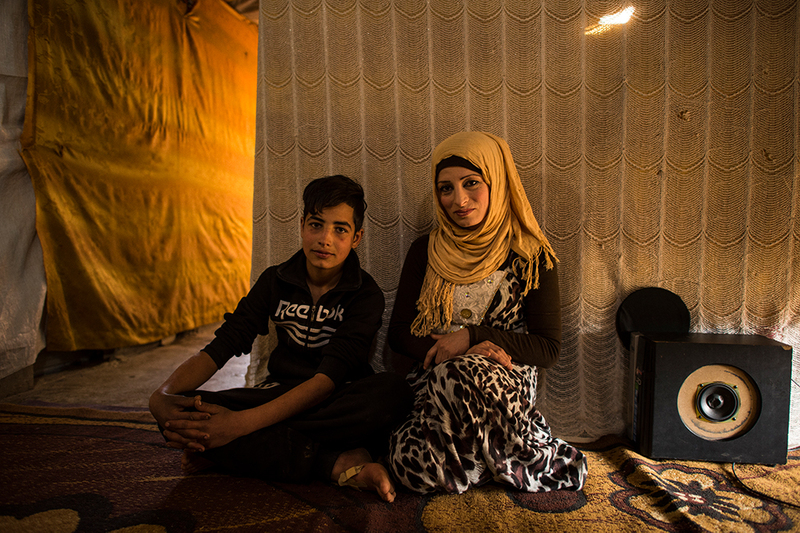 It’s not just bullets and bombs that Evana and her family fear. It’s hard to count the ways war has of inflicting cruelty on women and children. “We had the chance to travel outside of Lebanon, but my husband would not allow me to travel, so we stayed here.” They are now separated, but he recently paid a man to try to steal Khaled away from the camp. Evana’s neighbours heard her screams. According to Wynn Flaten, the biggest challenge facing aid workers in a generation is the constant shrinking of the humanitarian space where agencies like World Vision can safely deliver assistance to those suffering or displaced by a crisis. “Humanitarian workers no longer have access to all areas where a crisis is occurring,” Flaten tells me. Historically, humanitarian workers were shielded in a conflict. Principles of humanity, neutrality, impartiality and independence were largely revered. This is no longer the case. In a cynical world with cynical wars, they are now as much a target as anyone. In January 2018, gunmen stormed the Save the Children office in Kabul, killing five and injuring many more. In March 2018, the International Committee of the Red Cross aid convoy was forced to turn around on the way to East Ghouta after a ceasefire was breached by heavy shelling. I visit Evana to enquire about the infected wound on Khaled’s foot. “Back in Syria, healthcare was free, here we are suffering with nothing,” she says. When he’s well, Khaled works in a garden for a local property owner. He is paid about AUD$3.00 a day. “I won’t allow him to go to work until it gets better,” she tells me. 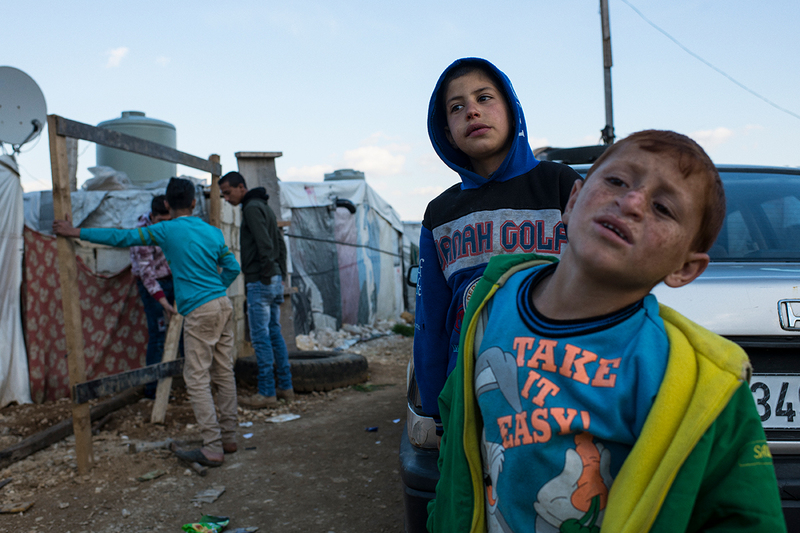 Back in Beirut, we try to get a doctor to visit the camp but we’re told none are available. It’s hard to know how we can help Khaled get treatment. World Vision’s role is to provide clean water, hygiene and sanitation, early childhood education, child protection, and livelihoods. Other non-governmental organisations are responsible for healthcare, and each organisation sticks to its role in the camps. The boundaries must be clear and respected so that we can all work together effectively. There are a million people with a million issues. A Lebanese filmmaker, Mark Karam, who is making a documentary, offers to help me coordinate a doctor’s visit for him once I return to Australia. Flaten says sometimes he feels like the work he’s doing at World Vision is adding drops to a bucket of water. In the scheme of the human misery he confronts, it isn’t much. But it’s something. Years ago, he realised that if anybody wanted to make a living trying to alleviate the misery of others, they’d need to be fully committed to what they did. “This isn’t just a job, there is an ethical and a moral imperative to do as well as we can and never be satisfied with what we are doing. Angus Smith is a freelance journalist and Public Affairs Officer at World Vision Australia. He encourages you to donate to the Syria crisis here. Ibrahim’s full interview is captured in a mini-documentary produced by VICE, World Vision Australia and World Vision Lebanon. Is it possible to tell a rather different story about Paul McCartney’s life after the Beatles? 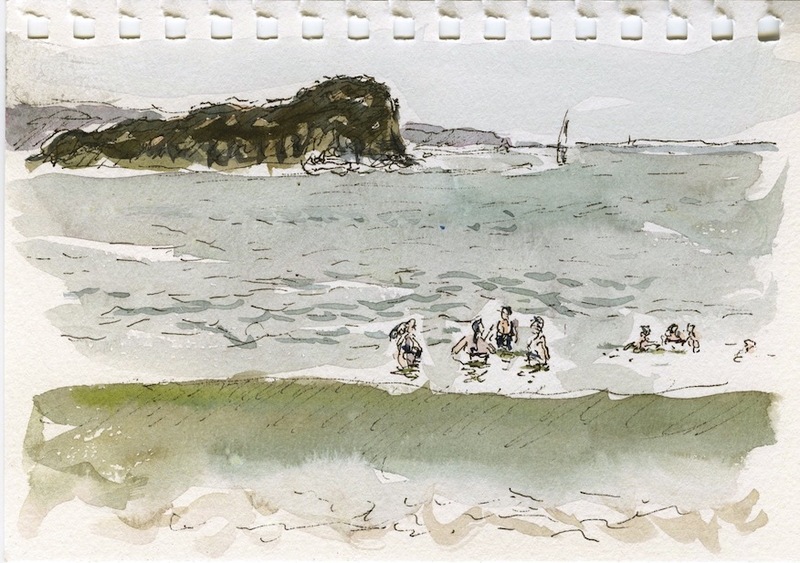 A story of creative endurance and often unrecognised inventiveness and influence?